The Texas secretary of state issued an advisory to county voter registrars saying there was a problem with non-citizens registering to vote and casting ballots in Texas elections. Now, the Mexican American Legislative Caucus is demanding answers. We talk to the caucus' chair Rep. Eddie Rodriguez, D-Austin. Then, in the days of the Wild West, rowdy cowboys were locked up in what's called a "calaboose." These tiny one-room cells caught the eye of Willam E. Moore, who joins us to discuss (17:24). The secretary of state’s office said on Jan. 25 that it discovered approximately 95,000 individuals identified by the Department of Public Safety as non-U.S. citizens on the voter rolls and about 58,000 have voted in one or more election in Texas. There is now growing push back from civil rights organizations, calling for answers from the secretary of state’s office about how it arrived at these numbers and why the data wasn’t cleaned up before going to the public. During the days of the Wild West, when a cowboy got too rowdy or if an outlaw got himself cuffed, they would be locked up in the local calaboose. While these tiny one-room makeshift jail cells seemed medieval at the time, many still stand today. They are peppered across Texas in small towns and mostly forgotten about. 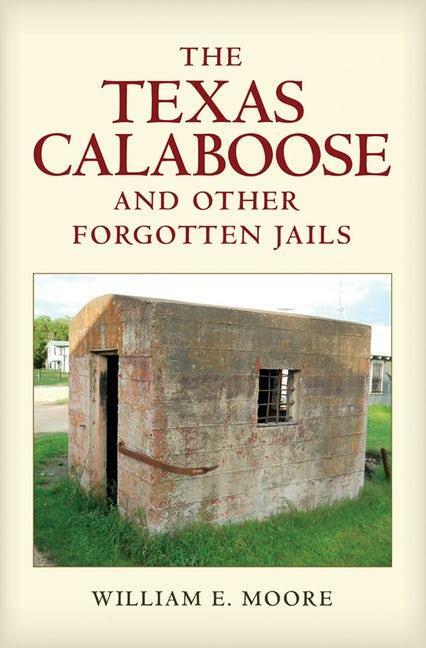 But the calaboose caught the eye of Willam E. Moore, who wrote the book "The Texas Calaboose and Other Forgotten Jails." The head of Texas’ Republican Party agrees with Donald Trump’s ongoing concerns about there being voter fraud during this November’s election. Texas GOP Chairman Tom Mechler says voter fraud is a rampant problem we know is happening in Texas. 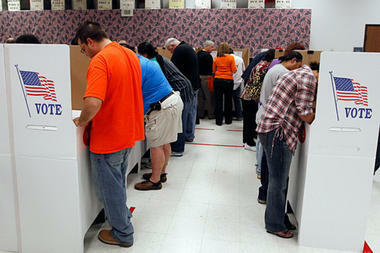 Mechler says he’s seen proof that voter fraud is a problem in the Lone Star State. “The problem has been in the Democrat-controlled areas of the state, in the Valley there has been issues and they’ve had issues in the Primary Election where their own candidates are being cheated of their election results," Mechler says. In less than a week, U.S. Supreme Court justices will hear a Texas redistricting case that has been floating through the federal court system for almost a decade. The cattle drive of the Old West was all about connecting the $4 cow in San Antonio with the $40 market in Kansas — and making that connection depended on cowboys. For these saddle tramps, the cattle drive was just a job, but somehow it became an American myth. Tim Lehman's "Up the Trail" reveals that reality was vastly different than the American myth told in dime novels, TV shows and in song.